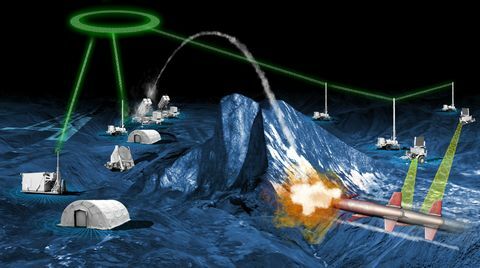 HUNTSVILLE, Ala. – Aug. 6, 2018 – Northrop Grumman Corporation (NYSE: NOC) will be presenting an expanded portfolio of transformative modular, scalable and software-enabled air and missile defense technologies, products and services at this year’s Space and Missile Defense (SMD) Symposium. As global threats evolve, so does Northrop Grumman – harnessing flight proven technology and the disruptive force of digital transformation to deliver a decisive advantage. Our interceptors, targets, propulsion systems, and modular open architecture enable secure, affordable and reliable capabilities to address and outpace the advancing threat. That’s why we’re a leader in missile defense. Northrop Grumman will have an expanded presence at the show with the addition of its new Innovation Systems (IS) sector. IS adds a range of capabilities to Northrop Grumman’s portfolio, to include targets, interceptors, propulsion systems and satellites. The annual defense conference in Alabama’s “Rocket City” brings together government and industry leaders from around the world, with a focus on defending warfighters and civilian populations from some of the world’s most devastating threats. As the titanium sponsor, Northrop Grumman will host the annual “Salute to the Warfighter” celebration to recognize those who serve in the defense of our nation. In keeping with this year’s theme, “Space and Missile Defense: Sharpening the Military’s Competitive Edge,” Northrop Grumman will be discussing how our missile defense solutions can help customers keep pace with new and evolving threats from undersea to space. The symposium takes place at the Von Braun Center in downtown Huntsville, with Northrop Grumman exhibiting at booth 501. Guests can experience an interactive augmented reality demonstration of short, mid and long-range missile defense solutions. There will be models of targets and interceptors available for viewing. Northrop Grumman will participate in speaking panels and presenting a number of white papers at the conference. Kenneth Todorov, vice president of missile defense solutions, Northrop Grumman, will be the company’s lead presenter. During the symposium, Northrop Grumman executives will engage with customers about how our digital transformation can solve challenges in an increasingly complex threat environment. They will also discuss how the complementary capabilities of Innovation Systems allow Northrop Grumman to provide end-to-end air and missile defense solutions from “left of launch” to intercept and assessment. Northrop Grumman is a key supplier of transformative space and missile defense products, both as a leading prime and strategic supplier. 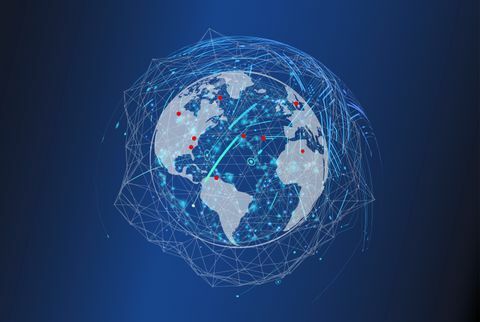 We are responsible for critical portions of the U.S.’s top missile defense programs including the Missile Defense Agency’s Ground-based Midcourse Defense (GMD), U.S. Army’s Integrated Air and Missile Defense Battle Command System (IBCS) and missile targets.